At WPS we have been hard at work talking to all types of businesses across the length and breadth of Dorset. We are using our imaginations, what types of businesses would carers like to use their cards with? This week we have added entries to four of the seven areas. The variety in the offerings is quite diverse for example are you a carer living in the Ferndown or Verwood area and have a pet? If so you can now use your Carers Card and receive a discount at Cedar Vets. If you live in Bridport the Leisure Centre are recognising the card and a 25% discount is available to you. If you would like a day out and enjoy historic houses and beautiful gardens Athelhampton house near Dorchester will accept the Carers Card and your entry fee will be reduced by 50%! 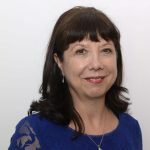 Thinking of learning to sing – well if you live in Bournemouth we have a provider who will offer a discount for workshops, courses and individual lessons. Do you find it hard to find the time and energy to manage your garden, check out the Retail and Services category in Area 1 – Bournemouth, Poole & Christchurch where you will find a very generous offer. 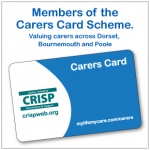 More importantly we would like to hear from Carers where they would like to use their card, please contact us or encourage a business to contact us and we will explain what great free marketing they will gain from signing up and the knowledge that they are supporting unpaid carers in their work. Telephone Julie on 01202 764778 with your suggestions.